Disney's Zootopia preached a message of inclusivity, tolerance and friendship, making millions and millions of dollars in the process. Behind the scenes, however, things are not so amiable. Gary Goldman, writer of Total Recall and producer of Minority Report, has slapped the company with a lawsuit alleging that the movie was his idea. According to The Hollywood Reporter, Goldman filed suit against Disney today through his Esplanade Productions. The complaint alleges that Disney has stolen ideas for films in the past, including The Lion King, Toy Story, Monsters Inc., Up, Inside Out and other properties. "They did it with Zootopia, too, when they copied Gary L. Goldman's Zootopia," the complaint adds. 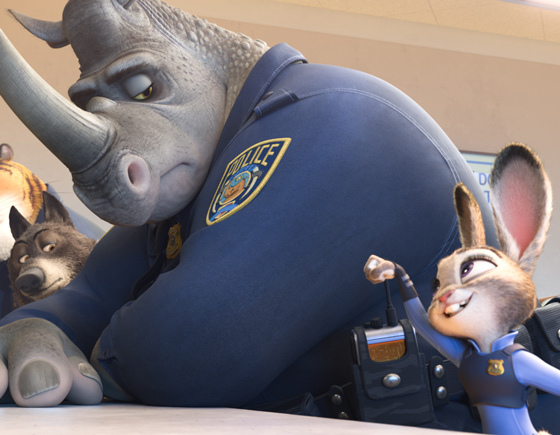 "Twice – in 2000 and 2009 – Goldman, on behalf of Esplanade, pitched Defendants his Zootopia franchise, which included a live-action component called Looney and an animated component called Zootopia. "He provided a treatment, a synopsis, character descriptions, character illustrations, and other materials. He even provided a title for the franchise: 'Zootopia.' Instead of lawfully acquiring Goldman's work, Defendants said they were not interested in producing it and sent him on his way. Thereafter, consistent with their culture of unauthorized copying, Defendants copied Goldman's work. They copied Goldman's themes, settings, plot, characters, and dialogue – some virtually verbatim." The complaint includes a potentially damning quote from Zootopia director Byron Howard, who once said, "Don't worry if you feel like you're copying something, because if it comes through you, it's going to filter through you and you're going to bring your own unique perspective to it." Since Zootopia has made over a billion dollars worldwide, there's a lot of potential damages on the table. Goldman is demanding that "Defendants be ordered to pay to Esplanade all damages, including future damages, that Esplanade has sustained, or will sustain, as a consequence of the acts complained of herein, and that Esplanade be awarded any profits derived by Defendants as a result of said acts, or as determined by said accounting." In a statement, a Disney spokesperson denied the claims. "Mr. Goldman's lawsuit is riddled with patently false allegations," they said. "It is an unprincipled attempt to lay claim to a successful film he didn't create, and we will vigorously defend against it in court."